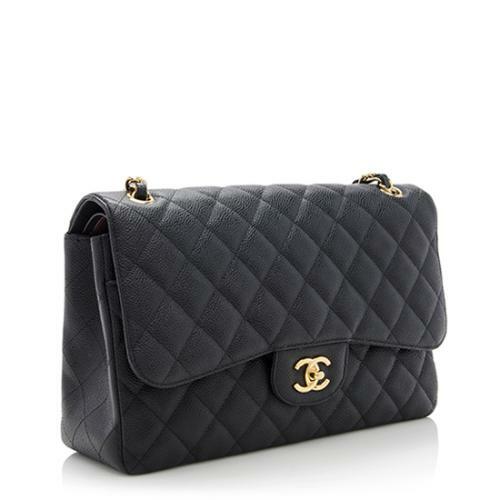 Shoulder Strap Drop: 13", 24"
This Chanel Classic Jumbo Double Flap bag is made from black caviar leather with gold-tone hardware. The must-have design features a signature CC turnlock, woven chain shoulder straps, and a burgundy leather double-flap interior. Carry this style with the straps doubled or extended. 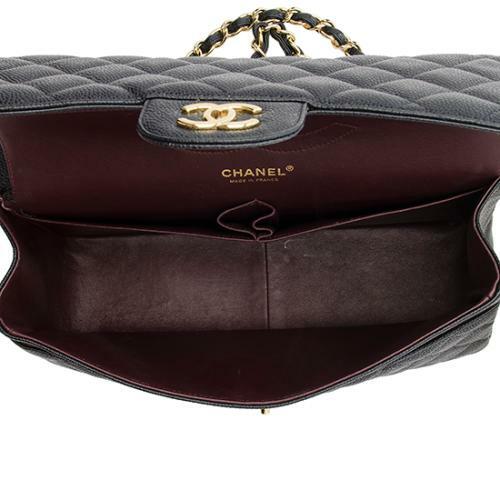 Bag Borrow or Steal is not affiliated with Chanel®. Bag Borrow or Steal guarantees the authenticity of this item. Chanel is a registered trademark of Chanel. 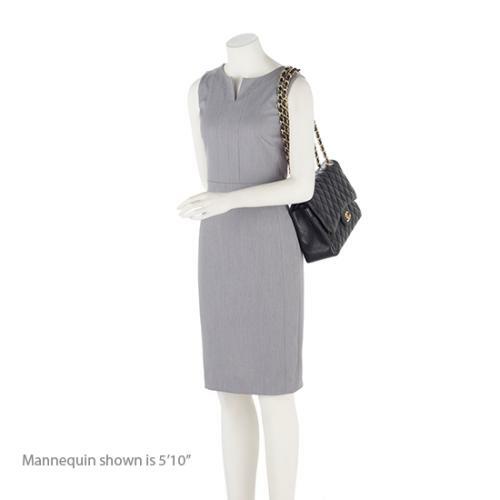 We'll deduct 50% of your total rental fees from the $6200 purchase price of this item*. So go ahead and fall in love with it!